Google and Apple are two companies known for being pretty innovative. Recently Apple followed by Google showcased their new way of integrating your mobile life into your desktop activities: Apple’s OS X and Google’s Chrome OS will pair with your iOS or Android device respectively to keep you up to date even when you’re not looking. Google seemed particularly proud of being able to show the remaining battery on your phone. As it’s always the case when two companies announce similar things and have such a big fanboy base, soon many Apple users started claiming Google copied Apple, an assertion that doesn’t make any sense given how closely they were announced to each other. Truth is if any of them looked for inspiration outside their camp, the inspiration would’ve come from KDE Connect. 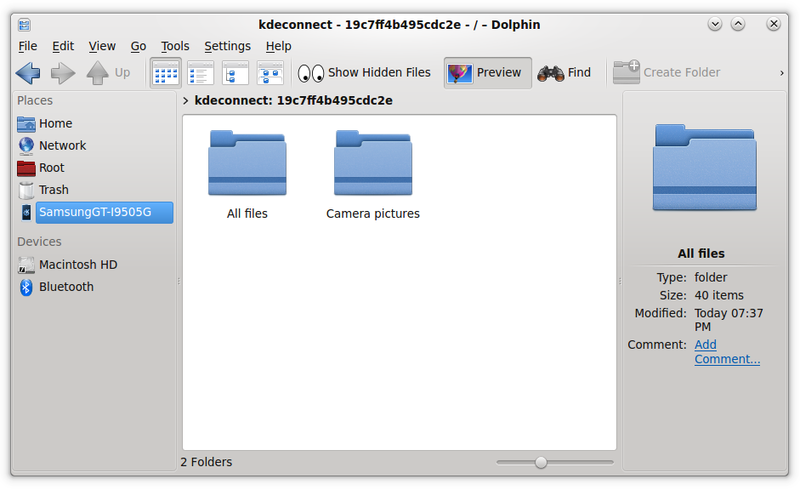 Bare in mind I’m not saying this with a negative connotation, KDE Connect itself was probably somewhat inspired by things like PushBullet. As soon as KDE Connect is installed on both ends, your devices will detect each other. You just need to pair them by requesting it from either device and accepting it. I will go through each plugin individually, all of them are self-explanatory and work flawlessly in my personal experience. The first one is the one Google seemed particularly proud of, showing your remaining battery. It’s indeed very useful. Clipboard allows you to copy from your phone and paste on your computer, or vice versa. In essence Klipper, KDE’s top notch clipboard managing tool, now manages your clipboard on both devices. This means the clipboard history when you click on Klipper now includes everything from your PC and your Android device, letting you easily copy and paste stuff from one to the other or recover text you copied a while ago on either of them. 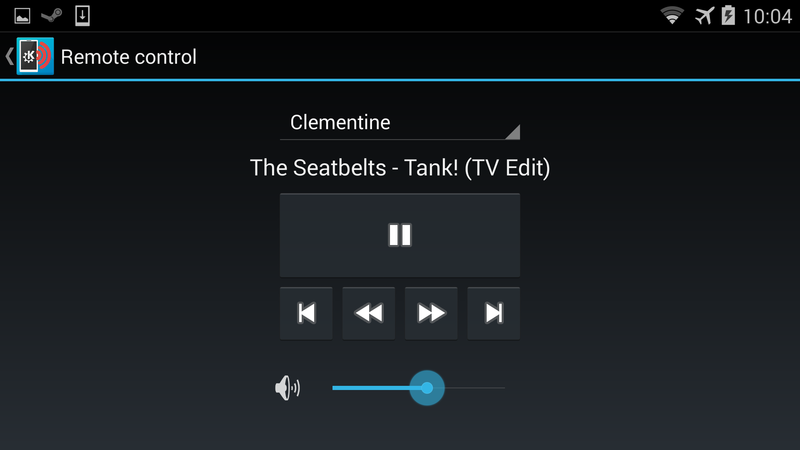 Multimedia control receiver allows you to control the playback of many applications, including Clementine and Spotify. 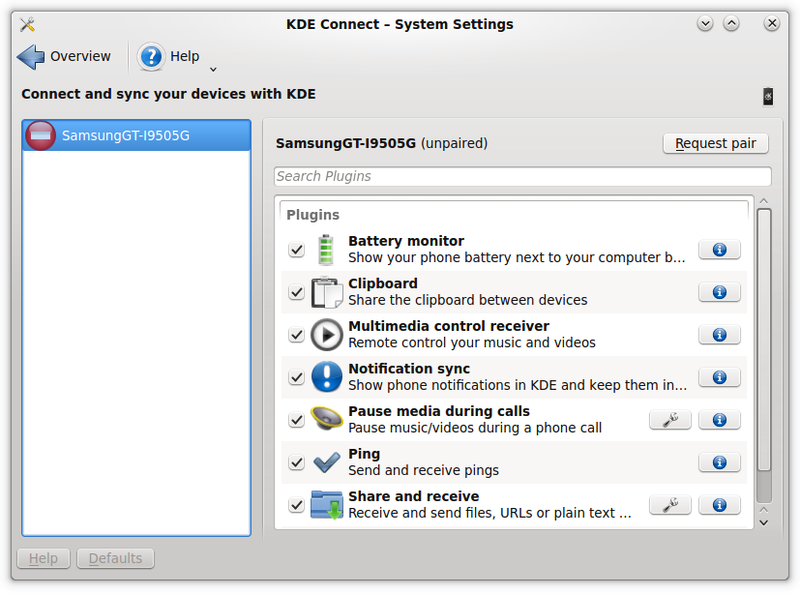 To access it, on your phone, go to KDE Connect > “The device you want to control” > Open Remote Control. Notifications mirrors your phone’s notifications to KDE. Just a little caveat, you need to give permission to KDE Connect to read your notifications on your Android device. If the permission is missing the plugin will fail. It will ask you to set the permission correctly. 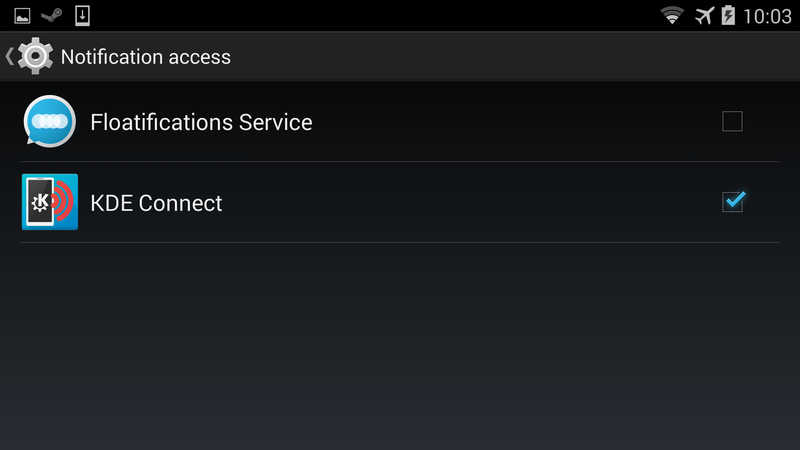 To grant it permission manually just go to Settings > Security > Notification Access and tick KDE Connect. Once the app has the right permissions, everything works perfectly. Pause media during calls does exactly as its name says. When there’s an incoming call multimedia content, usually music, will be automatically paused. The plugin Ping is merely used to test if pairing is working by sending a notification displaying the word ping from one to device to the other. Remote filesystem browser truly impressed me. Not long ago transferring files from my Android device to Linux was rather slow, complicated and prone to crashing without warning. Now without even plugging my phone I can browse all of it. Adding to the sense of polishness, an entry is automatically added to your sidebar on Dolphin. Or by going to Synaptic and looking for sshfs. Sharing and receiving files is equally impressive. 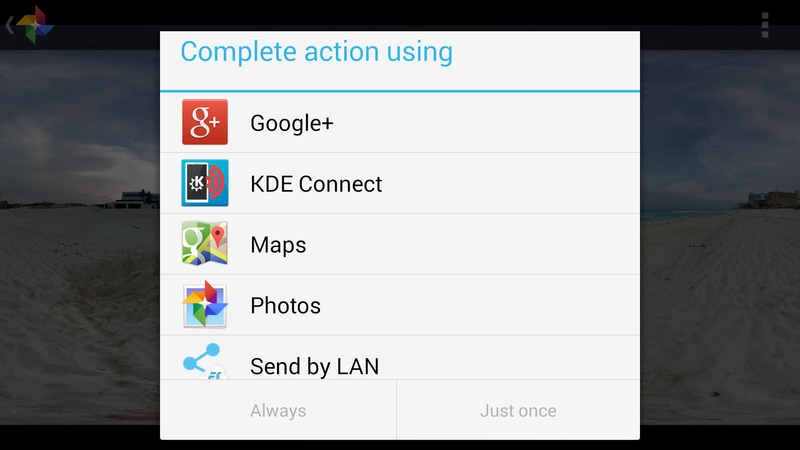 You can send files from your phone to your computer using the standard sharing function of Android. 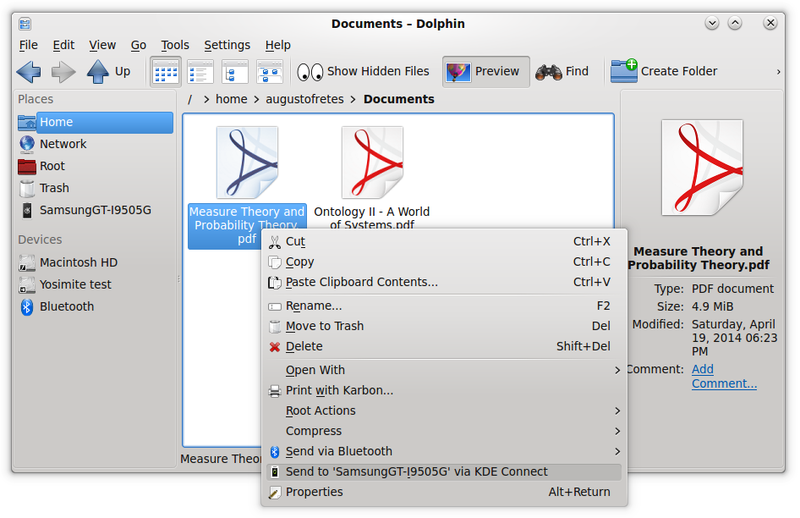 Or from your computer to your phone by right clicking a file on Dolphin and selecting Send to … via KDE Connect. Telephony integrations shows notifications regarding SMS and phone calls, answering calls will be implemented soon according to the description, which is very exciting, The last plugin transforms the screen of your phone in a touchpad for your computer. I’ve used applications that offer this functionality in the past and while KDE Connect’s implementation is fine, it lacks scrolling with two fingers and other multitouch gestures that can be accomplished with a multitouch screen. Perhaps adding an option to use it as a virtual keyboard could further expand its functionality, since it could be used as a full remote to control, for example, a desktop computer. The touchpad plugin was added very recently, so I’m sure more functionality in the near future is to be expected. 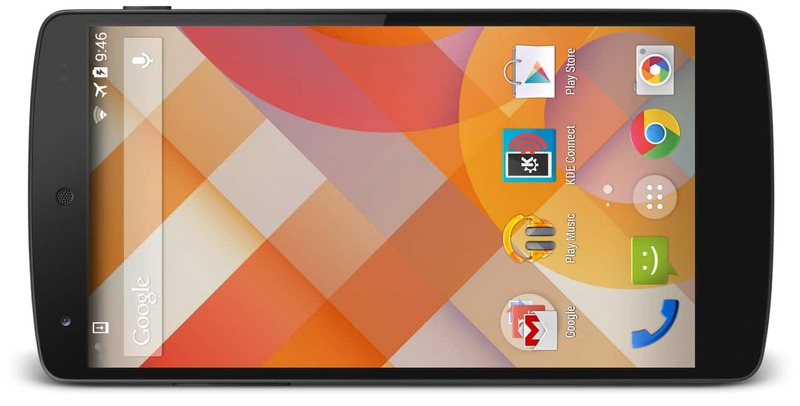 I don’t score products, but if I did, KDE Connect would at least be a 9. It’s easy to use, integrates flawlessly into your KDE Desktop, works perfectly and as described. In fact, KDE Connect is far more impressive than anything Google announced. With the exception of perhaps being able to unlock your desktop by proximity. Apple also announced a couple of things with its Continuity that seem interesting. My only true gripe with KDE Connect is how the Android application looks, it’s ugly and looks outdated. It gets the job done though (which is, for the most part, to sit on the background). The unavoidable conclusion, as of what is available today, is KDE has by far the best desktop integration with Android smartphones. And even when the stuff from the big guys is out, it isn’t clear to me that their offering is in anyway superior. Browsing your files as well as sending and receiving files works amazingly well and is something no other desktop offers yet. I recommend anybody with an Android device to give it a try, I’m willing to bet a week later you won’t understand how you lived without it. 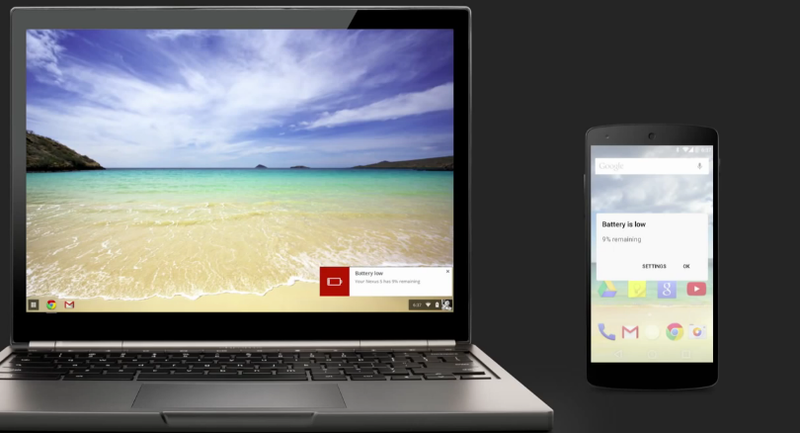 July 17, 2014 in Reviews, Software.